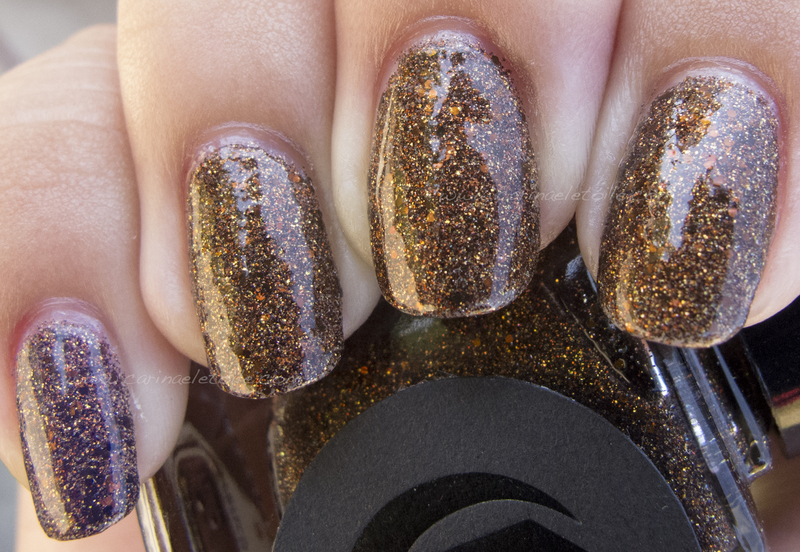 Cirque French Roast is this glitter bombastic polish that shimmers and sparkles while delivering some lovely warm, fall colors…come and see what Cirque French Roast is all about! 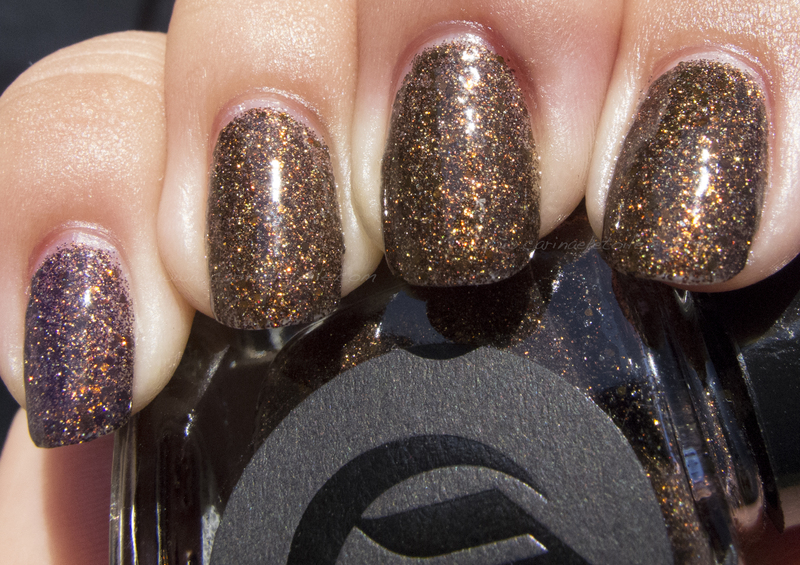 Cirque French Roast is described on the site as “A sparkling bronze glitter polish that reflects gold and copper”. That it does – and more! If you’re looking for a flashy and fun fall color, I think Cirque French Roast will fit the bill. 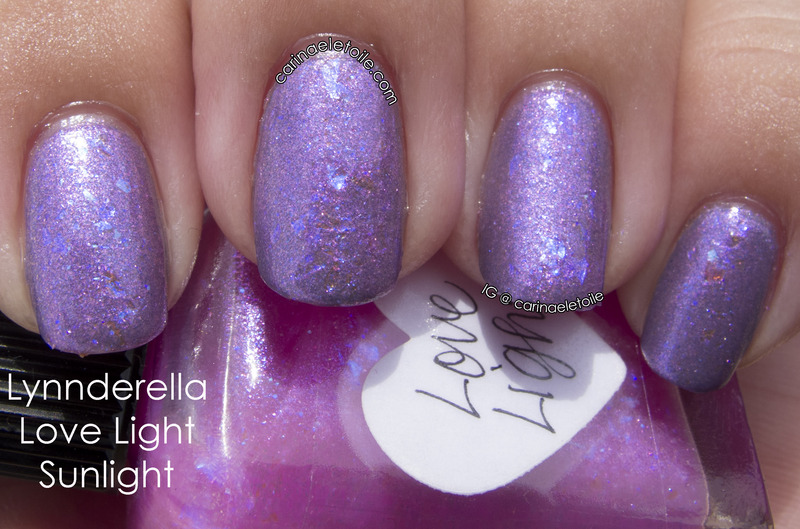 Super shiny and totally in need of top coat that can even out the glitter. I know some people use Gelous before topping with a top coat, while others swear by Seche Vite. I, however, did neither of those. 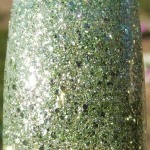 I have some of Lynnderella’s Glitter Tamer and I’m a bit peeved. 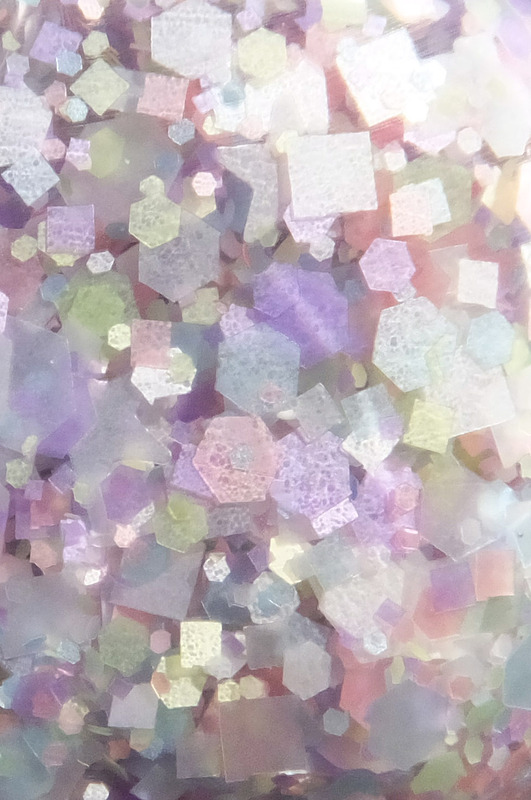 While Glitter Tamer did totally flatten and tame the glitter of this polish, there was an odd lavender/purple tinge to this when it should’ve been clear. It actually changes the color of the polish, so much so I decided to only use it on one nail. I had noticed it before in Glitter Tamer, but was usually able to overlook it. Not this time around. Look at the pics below to see what I mean. Before you do, let me say a few things about Cirque French Roast – this is an absolutely gorgeous color that can be worn alone or layered on top of a darker color. I used three coats and it was opaque and quick drying. 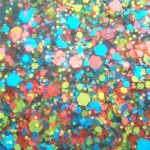 That took me by surprise because sometimes glitters can take forever and a day to dry. Not this one! As always, click on the image for the full size. Thanks for stopping by and please click Like if you liked what you read. See the purple/lavender tinge on my pinkie, which is to the far left? Yea, exactly. 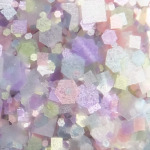 No, thanks, Glitter Tamer! You don’t get to ruin the other fingers for me.